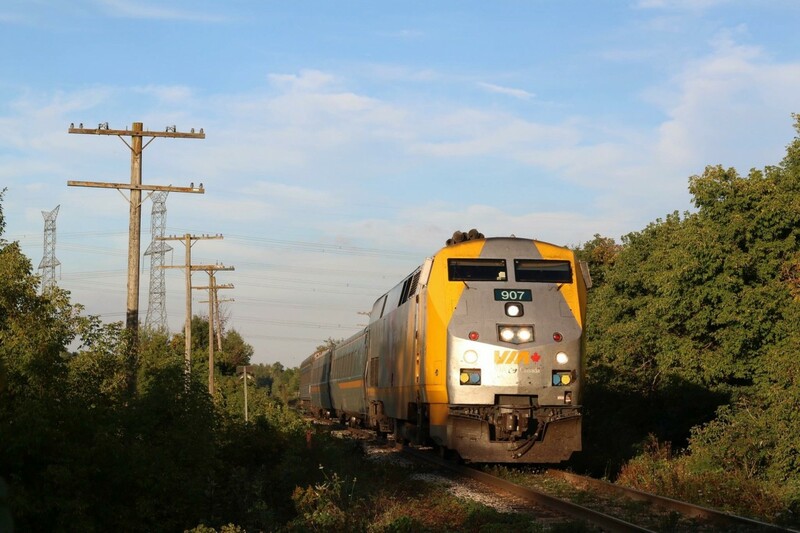 Railpictures.ca - Marcus W Stevens Photo: Long shadows, and late light accents old and newer technology as P42 907 passes the long unused and mainly forgotten telephone poles just east of Acton along Metrolinx’s Guelph Subdivision. | Railpictures.ca – Canadian Railway Photography – photographie ferroviaire Canadienne. Caption: Long shadows, and late light accents old and newer technology as P42 907 passes the long unused and mainly forgotten telephone poles just east of Acton along Metrolinx’s Guelph Subdivision.